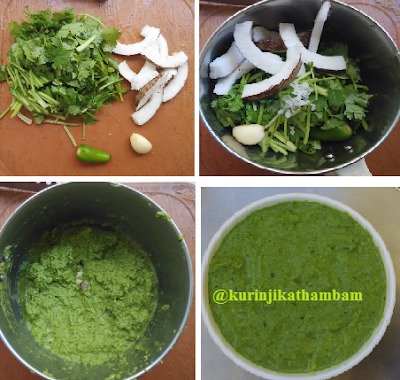 Raw Coriander chutney is very easy to prepare chutney, but it has very bright color and rich aroma. The taste is also very good and different. This is a must try chutney variety according to me. 1. Wash and chop the coriander leaves into small pieces with its stem. 3. Remove the skin of the garlic pods. 4. Now mix the chopped coriander leaves, green chillies, garlic pods, grated coconut and salt together. Grind them into a fine paste using little water in a mixie. 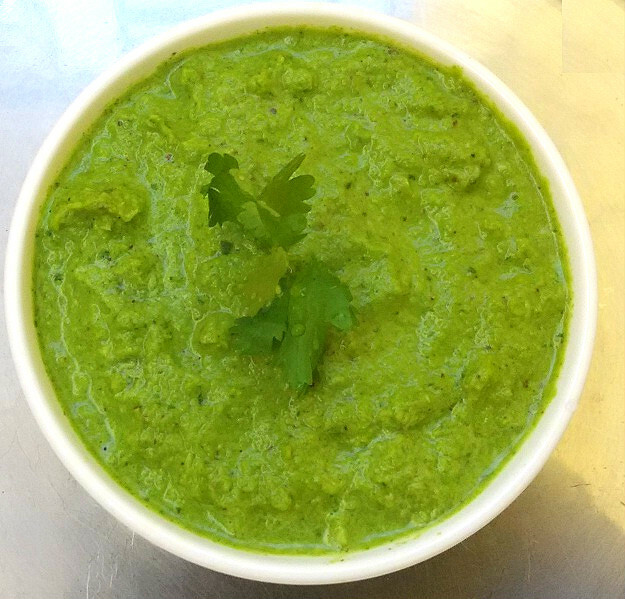 Healthy and tasty chutney is ready to serve.